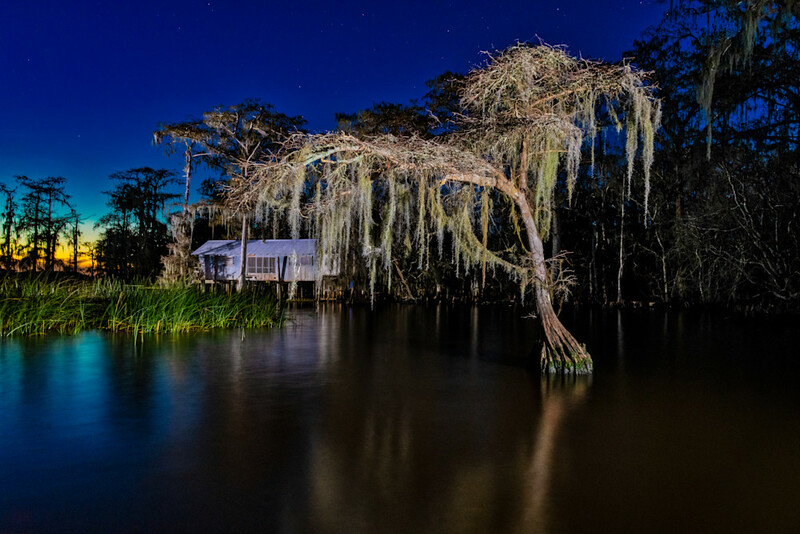 An old tin fishing camp is tucked among the moss-draped cypress trees on the edge of Louisiana's beautiful Lake Maurepas. This amazing photo, taken just after sunset, is part of an ongoing night swamp photography project. 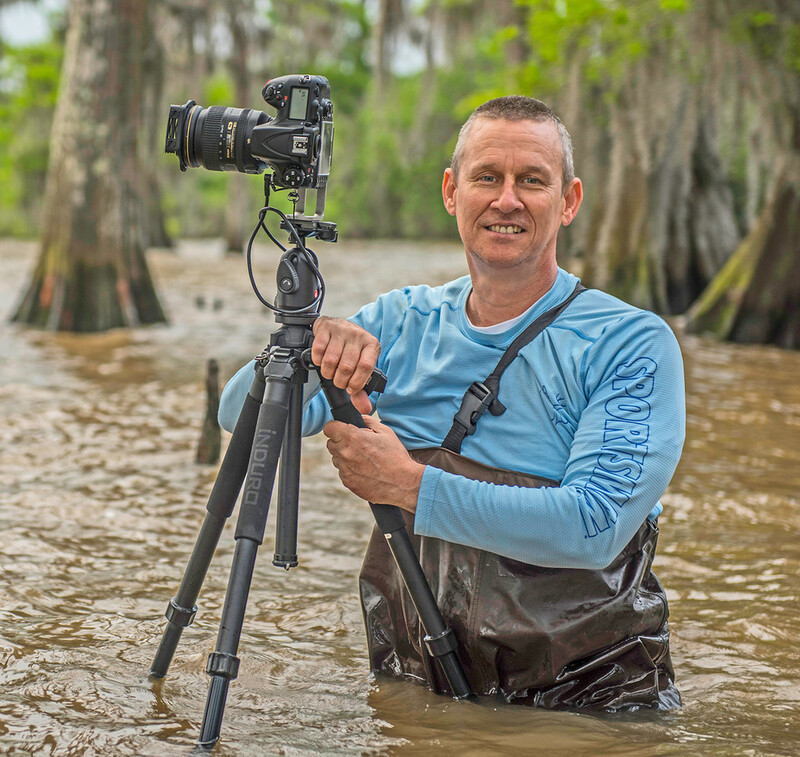 An old tin fishing camp is tucked among the moss-draped cypress trees on the edge of Louisiana's beautiful Lake Maurepas.